Cat Blog | Purrrfectly Holistic...a Boutique for Cats! Purrrfectly Holistic…a Boutique for Cats! 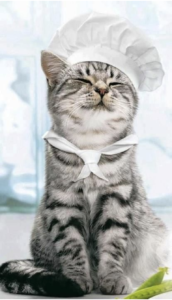 Cats are known for being fastidious groomers, sometimes finicky eaters, and endlessly adorable. They are also notorious about their litter box skills–or lack of. The number one reason kitties are surrendered to shelters is due to inappropriate elimination. In other words, for NOT using their litter box! It can be maddening and drive cat parents crazy. If you’ve ever suffered through cat litter box problems you need to keep reading. This story may just give you some inspiration! While I’m not big on making New Year’s resolutions, I do think it’s wise to have goals. In working toward these goals you must have a plan–and then follow it! If you would like to make 2019 a great year for your cat here are my best cat health tips. By making these changes your cat can be healthier and happier, and your vet bills can be lower, too! How many of these are you already doing? In the spirit of Christmas and our passion for everything about cats I have an extra special treat to share with you! Tagging off the famous ‘Twas The Night Before Christmas poem, I created a slightly different version. The famous expression, “I work hard so my cat can have a better life,” rings true to those of us who are owned by a cat or two. This poem is dedicated to all the cat parents out there who never think twice about the sacrifices made or lengths they go to in order to make their kitties feel loved and pampered! If your cat could stand to lose a few pounds then read on! Not only is it vital for his health and longevity, it may be easier than you think. Learn what strategy I used with my own cat who needed to lose a pound or two and other great tips to keep your cat trim. One of my clients has a kitty named Zoltan who has struggled with pancreatitis, which is why he originally reached out to me. He is now eating a much better diet and his pancreatitis has subsided drastically. However, now his kidney values have slowly increased to in the recent months. His owner is now using a blend of kidney support supplements, but his vet is pushing a prescription kidney diet with lower protein levels. The veterinary food has a high number of carbohydrates which will most likely re-trigger his pancreatitis. What’s a cat parent to do? Proper nutrition is fundamental to our pets’ health, but have you ever considered how different foods affect our pets? The kinds of food we feed our pets can have a direct affect on an animal’s condition. Here are some fascinating things I learned about food therapy for pets. You may have noticed that pet food companies like to come up with new, trendy ingredients to add to cat food. Some of these trends should be ignored, but others are actually nutritious and beneficial. Take pumpkin for example. More than just a holiday decoration and pie ingredient, there are lots of reasons why pumpkin is really good for cats. 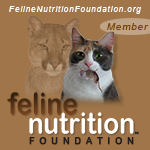 Are you looking for help or answers to a condition or situation with your cat? Book a FREE 20 minute consultation with me and let’s talk. I’d love to help you and your cat!